As my rifle lay on the bench, with my new Boyds’ custom gunstock securely shouldered, I take a deep breath and begin squeezing the trigger on my Savage Axis. I squeeze, squeeze, then squeeze some more. BOOM, the rifle finally goes off. “That’s just not going to cut it,” I say to myself. I’m on the quest to turn a budget gun into the ultimate deer rifle. A spongy trigger has no place on this build, or any gun as far as I’m concerned. A trigger upgrade was an absolute necessity. After hours of research, I decided a trigger from Timney Triggers would be best. My box arrived in the mail shortly after I placed my order. I felt like a kid on Christmas morning! (I always feel this way when gun parts come in). As I opened the box, I was pleased to see my new trigger along with an NRA pamphlet, and a bit surprised to see a Tootsie-Pop. Included in the trigger box was the trigger, hardware, a 5/64th hex key, installation instructions, a decal, and a shooters prayer card. I think the NRA booklet, the Tootsie-Pop, and the prayer card speak volumes about character of the folks at Timney Triggers. Installation of the trigger was super easy, a video can be viewed here. 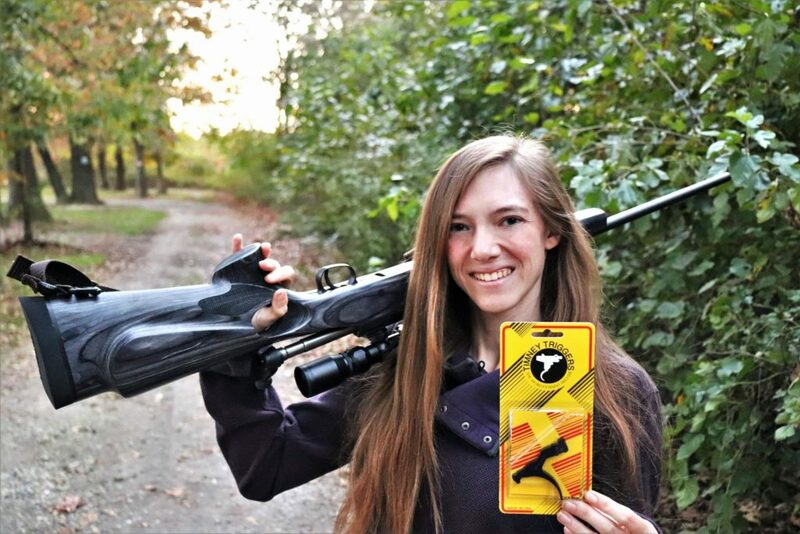 First thing’s first, make sure the rifle is unloaded, and take the bolt out. Safety is always number one. Secondly, pop off the C clip holding the trigger pin in, and remove the pin. The old trigger will come right out, and the new Timney Trigger can be put right in its place. Now, take the included spring, put it where the pull weight adjustment is, and drop the new trigger in. Reinstall the pin, and push the C clip back on. Adjusting the trigger is just as easy as installing it. All you need is a ¼” open-end wrench, and the 5/64th hex key that was included in the package. Using the hex key, you can adjust the pull weight from 1.5 to 4 pounds, and the safety screw. 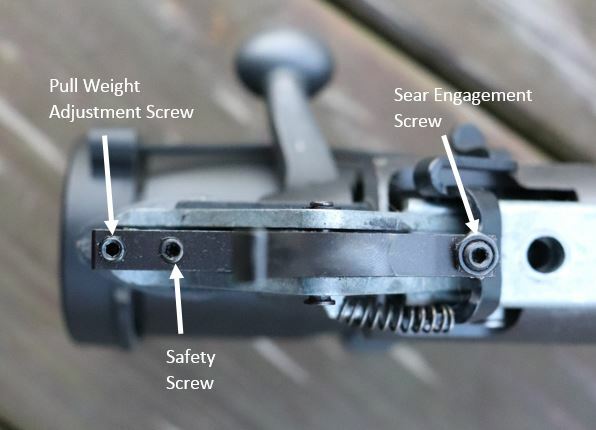 Using the open-end wrench, and the hex key, you can adjust how much creep the trigger has. Simply loosen the lock nut, adjust the screw, then tighten the nut back down. Installation and adjustment was a breeze, but the real test was yet to come. Yet again, my rifle laid on the bench. “Here we go,” I say to myself as I shoulder the rifle. I squeeze off the first shot, eject the spent cartridge, then squeeze off a second, a third, and finally the fourth. Shooting the stock trigger, as opposed to shooting the Timney Trigger was like comparing a Yugo GV to a Corvette. After a few shots on the Timney, I couldn’t imagine not having it on my Savage.